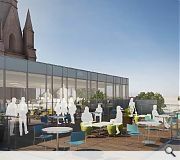 Dandara has committed to begin speculative construction of a £20m office building in Aberdeen city centre on October following completion of on-site enabling works. 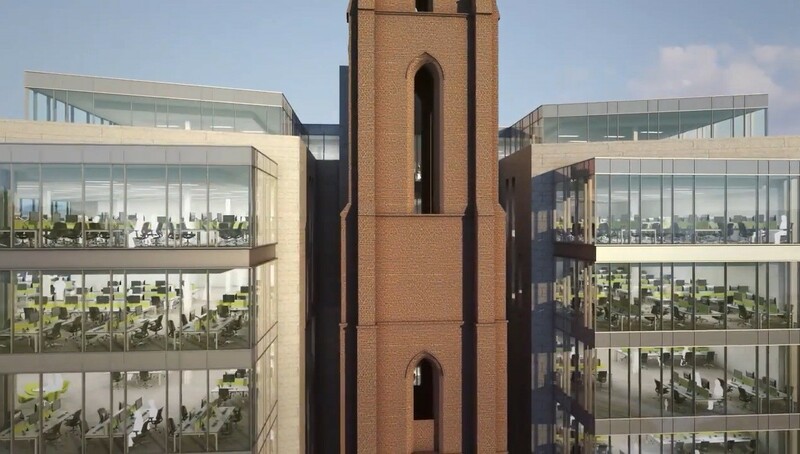 The green light was given in order to meet growing demand for office space in the city from the energy sector The Point will be built on the site of the A-listed former Triple Kirks and offer 80,000sq/ft of open plan floor space around its retained spire. Gavin Wyley, managing director of Dandara in Aberdeen, said: “We plan to begin development very soon and are in a position to move forward quickly thanks to planning permission having already been granted by Aberdeen City Council. Completion is pencilled in for late 2015. 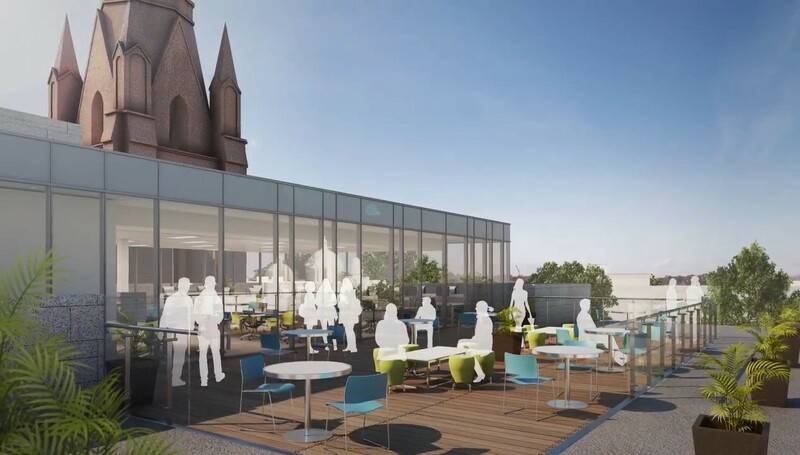 Thank goodness it's incorporating a traditional 'Rooftop Balcony', a must have feature of any northern city! what an ugly brute! 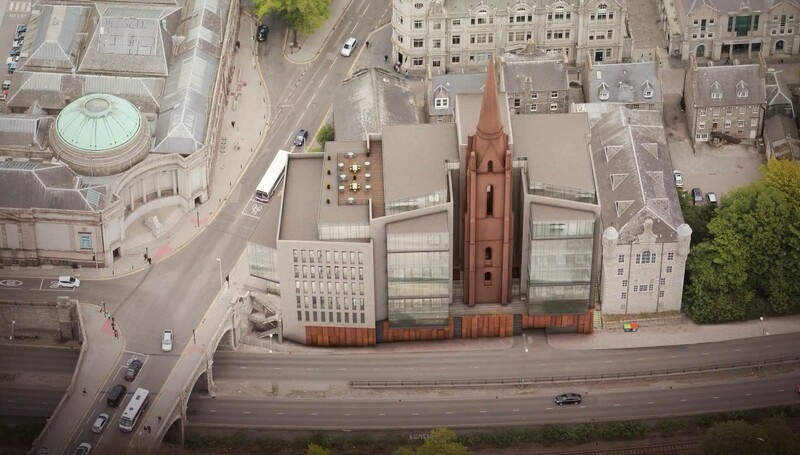 what is the point of keeping the kirk tower? Truly abysmal scheme. Squeezing the crap out of Aberdeen's historical structures seems to be de riguour. Well done HFM.... another beaut. 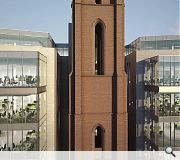 Agree with #2 - barely worth the kirk tower being there at all, utterly diminished as it is by its smothering jacket of crushingly generic offices. OMG Not seen anything this bad in a long time. Planners PLEASE stop this. 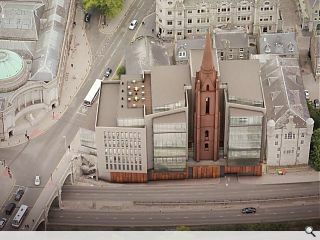 I would be very keen to see the visual impact from Schoolhill looking North. I disagree. I think this is actually a pretty good commercial solution given the brief the architects will have been given to make it stack. Looks like it will be a great place to work. Word of warning…make sure your speakers are turned off when you watch the video. The soundtrack is more than a little cringe-y. "a pretty good commercial solution"
That sums up most architecture these days.